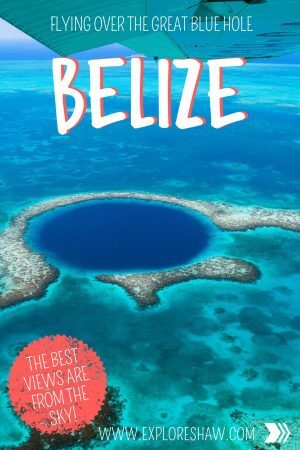 The number one reason that Belize had so aggressively pushed it’s way up to the top of my bucket list was The Great Blue Hole, a giant underwater sinkhole in the middle of Lighthouse Reef. 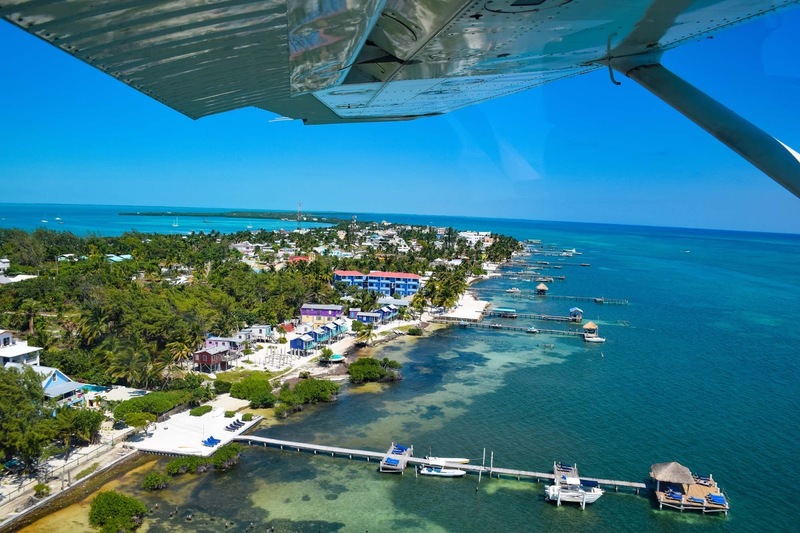 Only a short trip away from Caye Caulker, it is a must see for anyone visiting Belize, and can be visited either by scenic flight or a full day diving excursion. 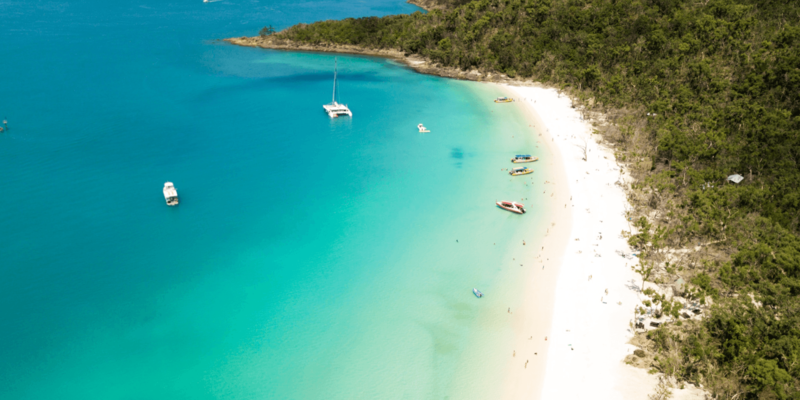 Since neither Thom or I had any diving experience (I can be a terrible snorkeller at the best of times), we decided the best way to visit this natural wonder was from the skies above. 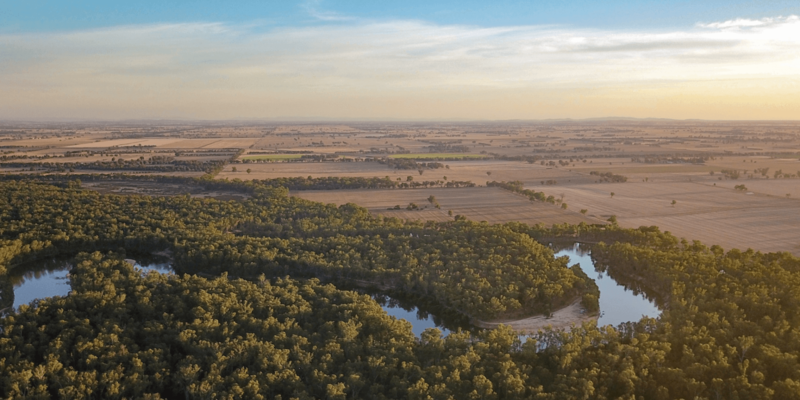 There are a few different options when looking at scenic flights, including organised scenic flights and also private charter flights. 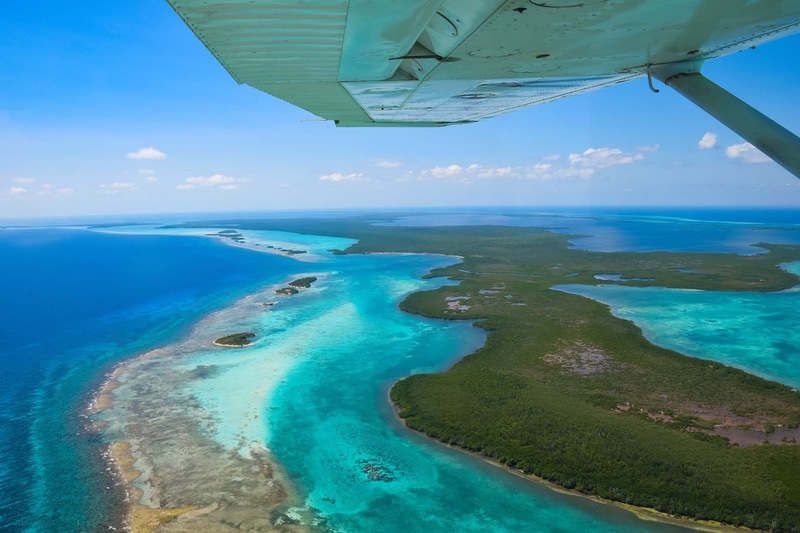 The two main airlines offering regular scenic flights over the Great Blue hole were Maya Island Air and Tropic Air – the local airlines of Belize. 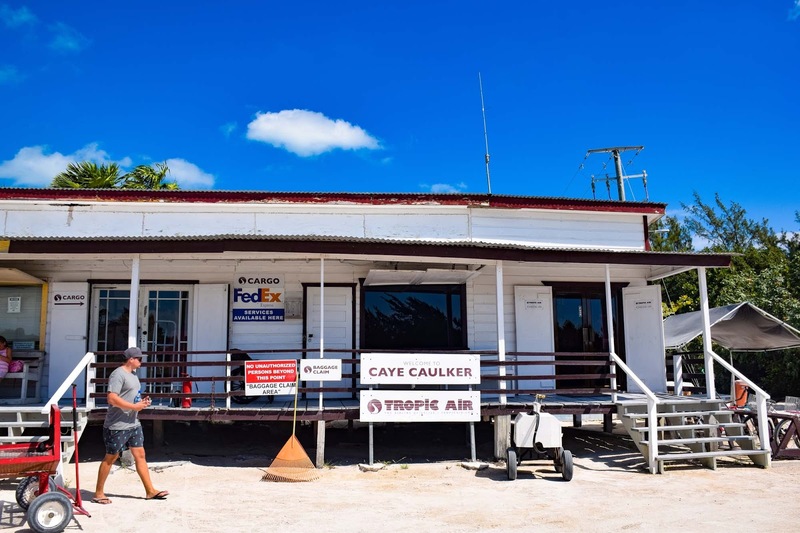 For scheduled charters Tropic Air offered flights from Caye Caulker and San Pedro (on Tuesday and Thursdays only, at 11am), while Maya Island Air offers scheduled flights from Belize Municipal and San Pedro (Monday – Thursday, 10am for Belize, 2pm for San Pedro). 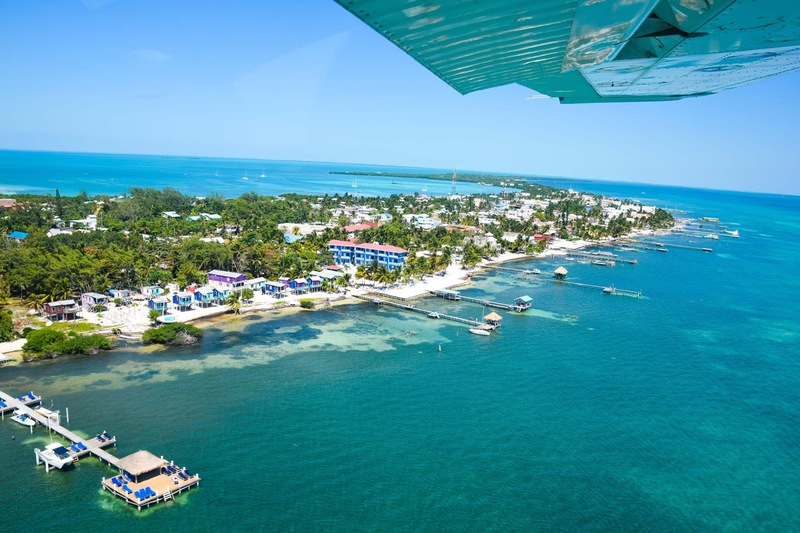 I always knew I wanted to take this flight during our time in Belize, so I was already planning it into our days before we booked other things and made solid plans. Unfortunately, as much as I tried, I just couldn’t make it work with any of the scheduled flights. 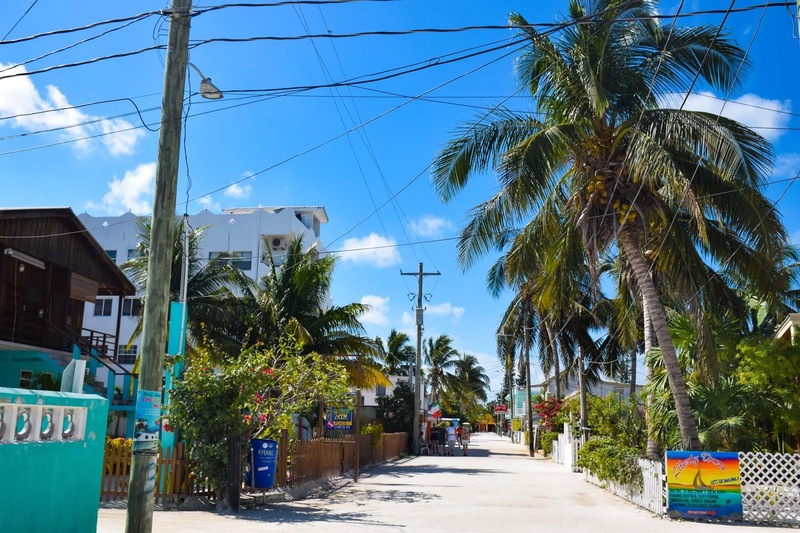 We arrived into Caye Caulker on a Thursday and I just didn’t want to risk paying for and missing a scheduled flight as we would be coming from San Ignacio. Instead we decided to splurge a little (running theme on this honeymoon!) 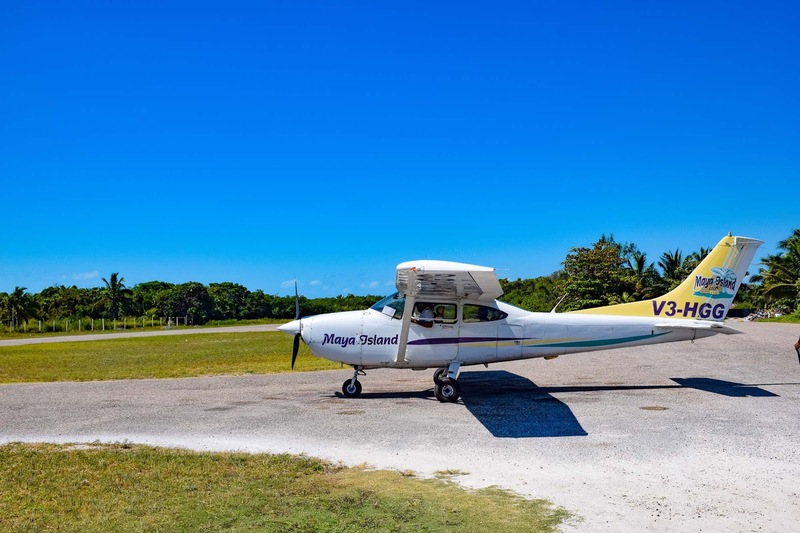 and book ourselves a private flight with Maya Island Air. 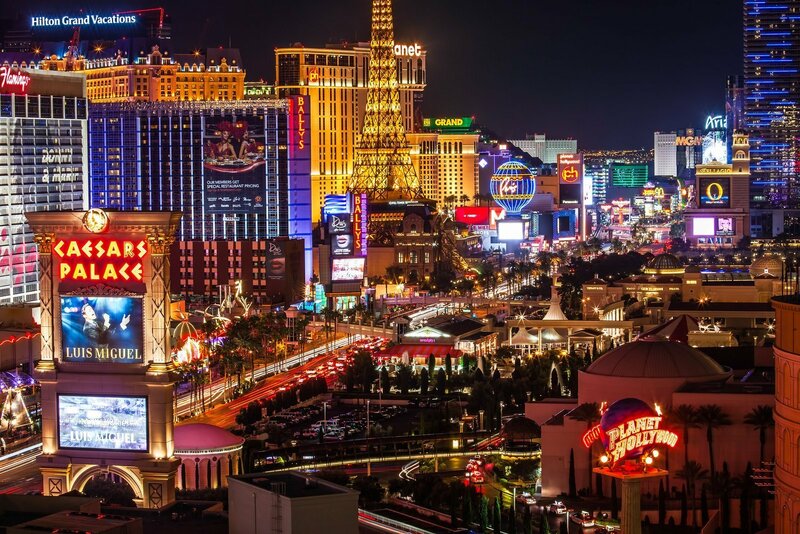 It only ended up being a couple of hundred dollars more than the scheduled flight, and in my irrational mind of wedding and honeymoon costs for some reason it didn’t seem that bad to me. Writing it down making it seems a little bit worse! But we didn’t want to risk missing the flight, or the flight being cancelled if there wasn’t enough people booked on it. It was fantastic though, and I am definitely glad that if we were going to splurge on something this is what we chose. To book the flight I just left a message on their website – click on the purple button that says leave a message – and someone very helpful from their customer service department helped us organise our flight over email and answered all of my 500 questions. 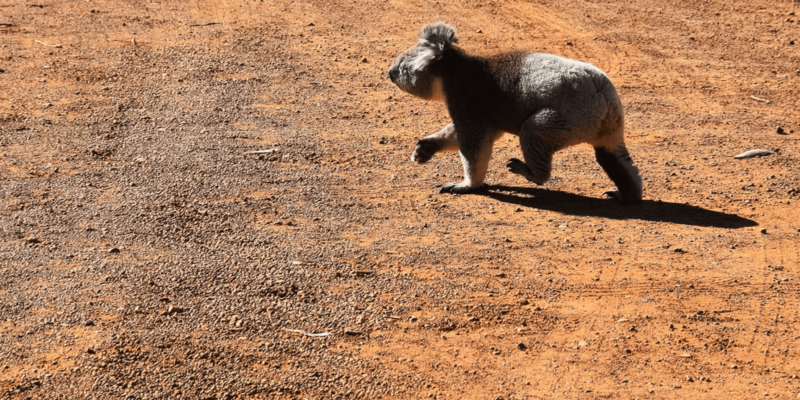 They actually made it so easy that I thought it might be too good to be true, and that when we got to the airstrip there would be no flight booked! You can also pay upon arrival when you’re checking into the flight (you don’t have to pay in advance if you don’t want to), which made me feel heaps better about everything. 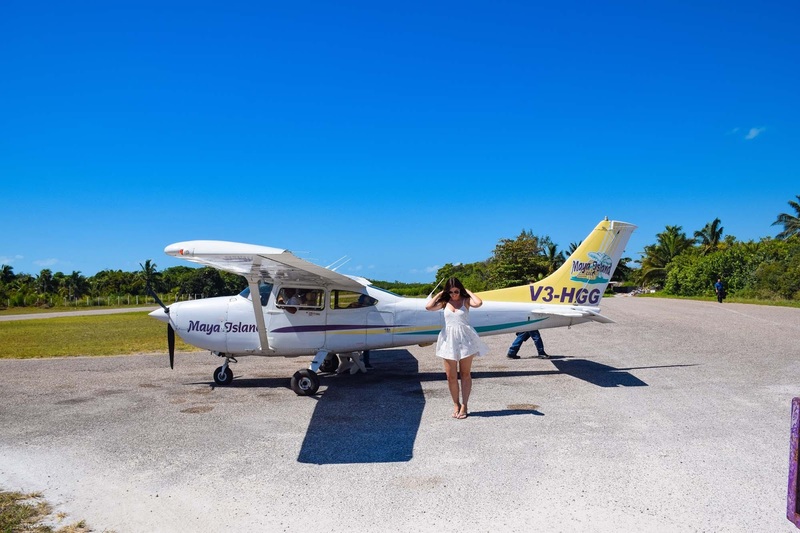 We arrived to the tiny airstrip in Caye Caulker and before we knew it we were taking off in a tiny four-seater charter plane – definitely the smallest plane we have ever been in. 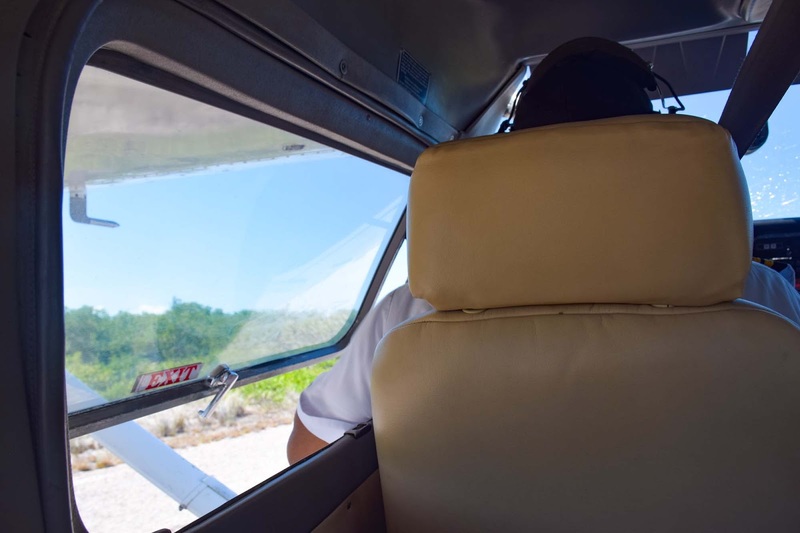 We were accompanied by two local pilots who were excellent flyers and pointed out highlights around the reef for us to see. 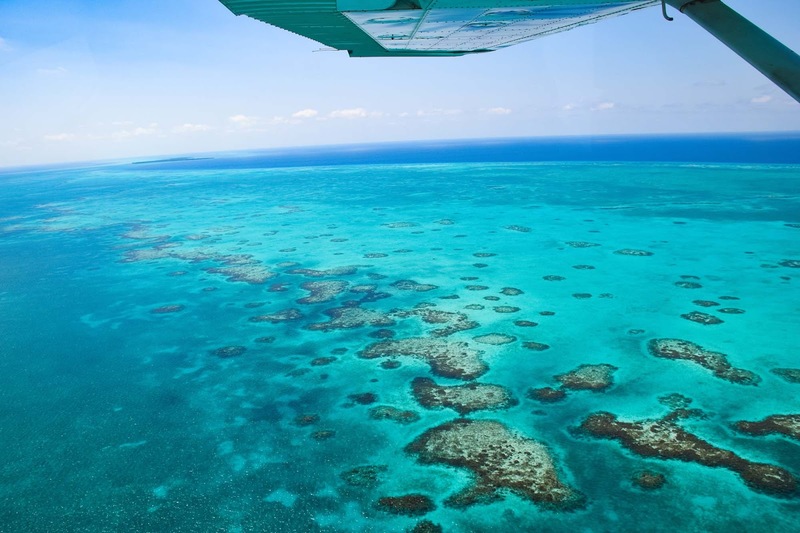 We began our flight over the Belize Barrier Reef, which is the second biggest coral reef system in the world after the Great Barrier Reef in Queensland, Australia, and is also very important to Belize’s fishing industry. 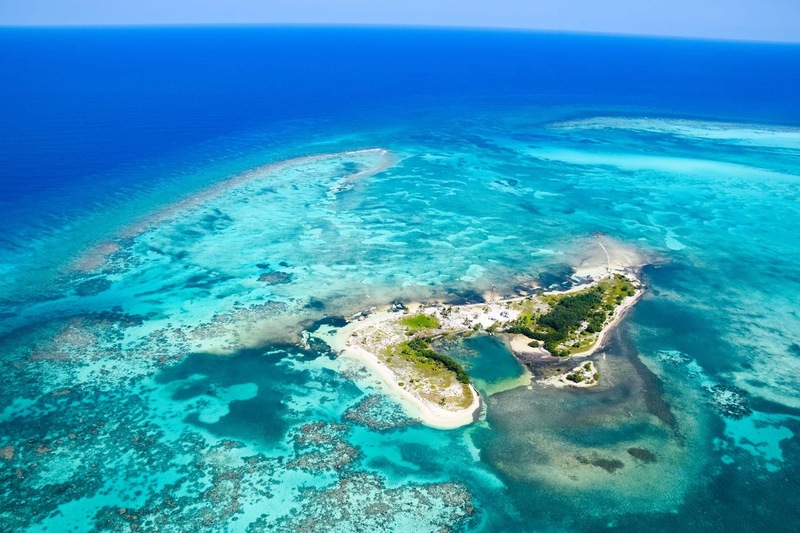 The Belize Barrier Reef is a 300 kilometre long section of the 900 kilometre Mesoamerican Barrier Reef System, which continues from Cancun through the Riviera Maya and ends up in Honduras. 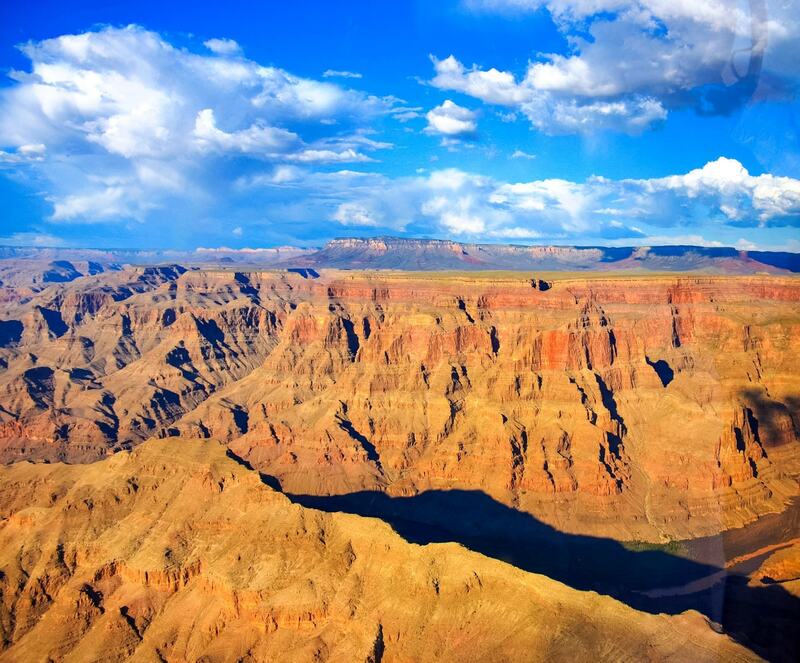 It’s absolutely enormous, so seeing it from the sky gave us a much greater perspective of it’s enormity. As the flight continued we flew over many scattered islands, Turneffe Atoll and Lighthouse Reef. 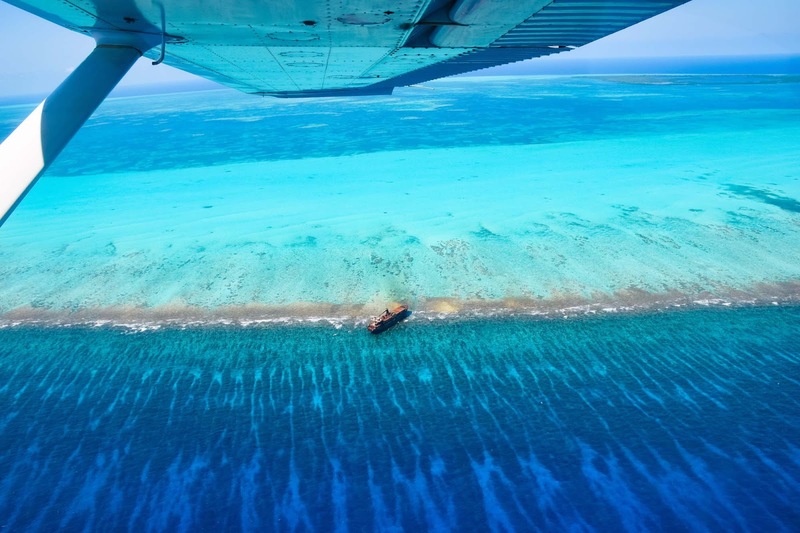 We also spotted a shipwreck sitting on the edge of the reef (see image below) although I couldn’t find much information about it online. Finally we made it to the incredible Great Blue Hole. It was just as amazing and breathtaking in person as in all the pictures you can find online. 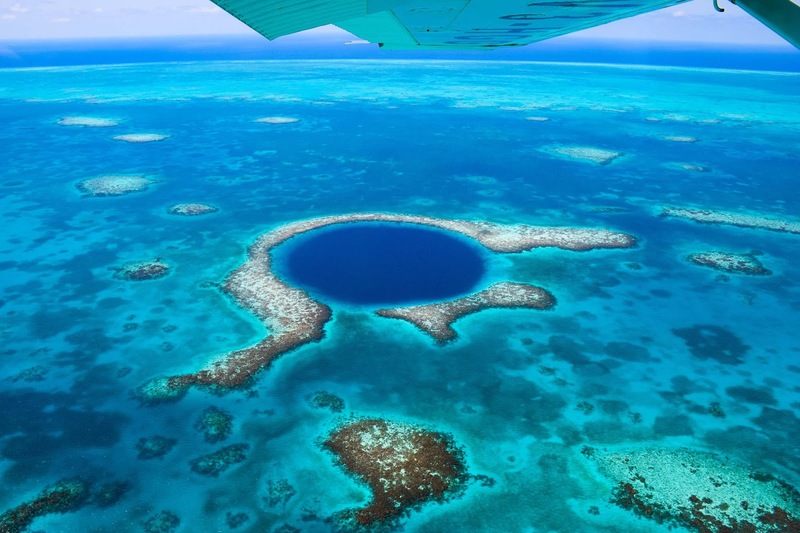 Our pilots were so good, they probably circled the Blue Hole about 6-7 times on each side, getting closer to the hole each time, which allowed us enough time to get some fantastic photos and views of this natural wonder. 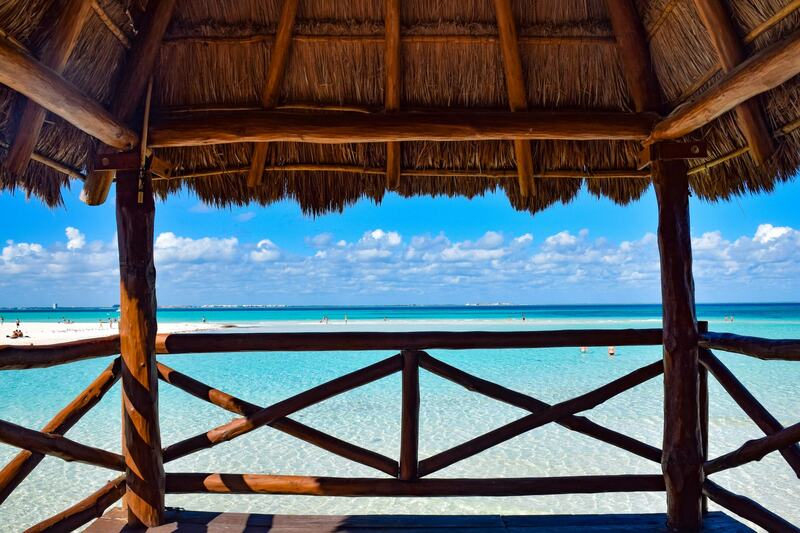 It was just incredible, with such dark blue water in the middle surrounded by a wall of coral. The way it just comes out of no where so perfectly, surrounded by the regular reef is incredible. 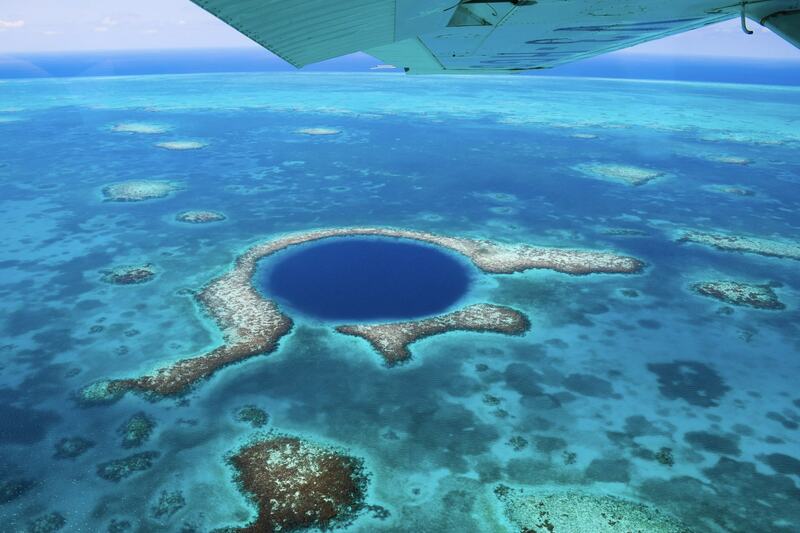 It was the deepest, deep blue hole imaginable. A chasm that fell away deep into the deep, dark blue. It had been forged out of solid rock as caverns, hundreds of thousands of years ago during the last ice age. For eons, water filtered through the rock and into these great stone cathedrals, breeding multicoloured stalactites and stalagmites. Then, one by one they collapsed in on each other, creating a chasm four hundred feet deep. As Earth’s swollen polar ice-caps receded, the warm Caribbean ocean swept in to fill the chasm with boiling white hands, the last rays of sunlight struck the chasm’s floor. Then, as the limestone broke down, it began to rain tiny fragments of rock, which slowly began to fill the Great Blue Hole. 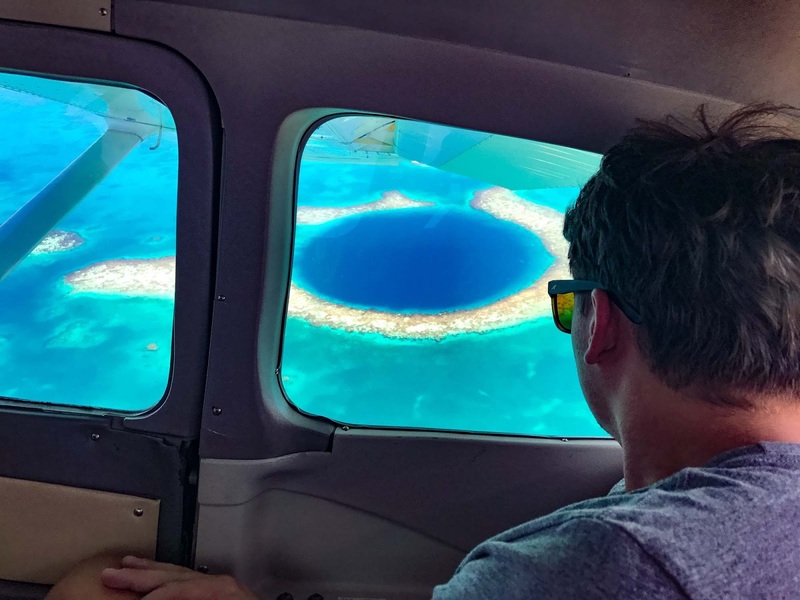 If you’re spending any time in Belize – either Belize City or any of the islands, the Great Blue Hole should definitely be at the top of your list for can’t miss experiences. 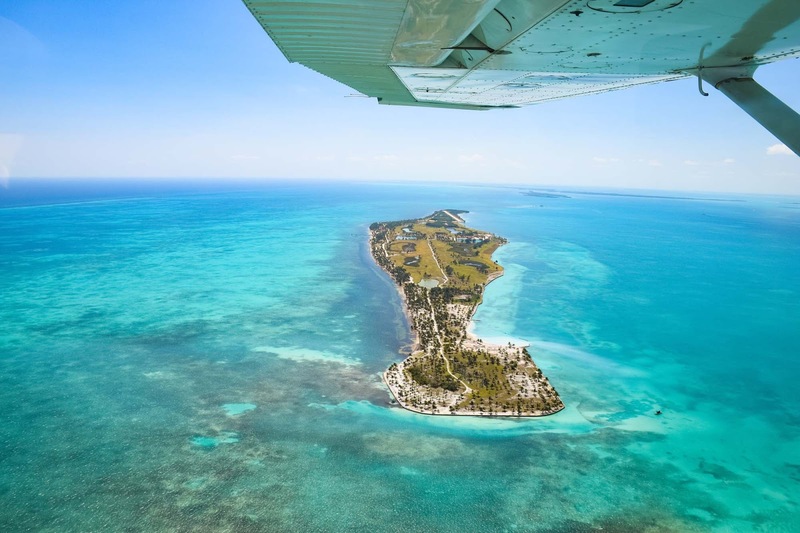 Check out the Maya Island Air website for more information and it’s a good idea to send them an email if you have more questions that aren’t answered on their page. They were incredibly helpful throughout the whole planning and booking process. Special shout out to Annika at Maya Island Air for all your help and assistance!